One of the gifts of writing and photographing travel stories that I’m eternally grateful for is that you don’t have to spend thousands of dollars on an African safari or Antarctic cruise to impress an editor with your work and break into the market. You can start honing your travel writing and photography skills without buying more than a tank of gas. Don’t believe me? Hop in your car and drive to your local airport. Scan the arriving passengers. Someone has just paid a lot of money to explore and vacation in your hometown. Still not convinced? Google your state and AFAR or National Geographic Traveler or Coastal Living—or any travel magazine, for that matter. You’ll find a great story illustrated with photos of your own backyard. The next day, I pitched the editor a story called “Rocky Horror.” With an assignment letter from the editor, the hotel comped me Stephen King’s original room for the night. I made fun pictures: a maid’s hand draped over the clawfoot tub, a thunderstorm darkening above the wedding-cake white façade, the empty bar at midnight. 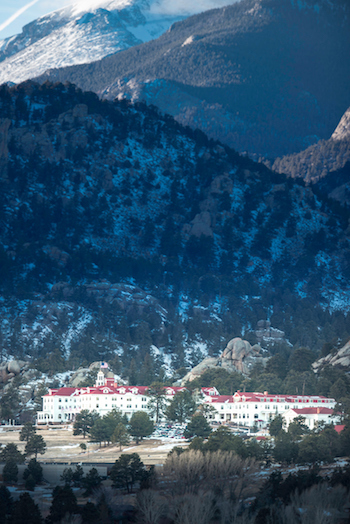 I interviewed the housekeeping staff and other guests about their experiences; I drove up into Rocky Mountain National Park hunting for a “pass closed for winter” sign. My local travel story expenses were less than $75 to cover gas, a Parks pass, housekeeping tips, and a few meals. The editor was delighted. Breaking into a new editorial market—a travel magazine or a website—doesn’t need to be an expensive process. In fact, it shouldn’t be. Your mission isn’t to show the editors you can travel. Your mission is to show them you can write compelling stories and make inspiring pictures. These days, whenever I look at winning over a new client with a first pitch, I don’t pitch them exotic destinations. I pitch them my own backyard. I remember what my editor at National Geographic said. Jad Davenport is a full-time writer and photographer represented by National Geographic. His stories and photographs have won multiple Lowell Thomas Awards. You can follow his work on Instagram @jaddavenport.